Based in Corvallis, Oregon, Jon Sharp is a classical guitarist teaching and performing in the Willamette Valley area. 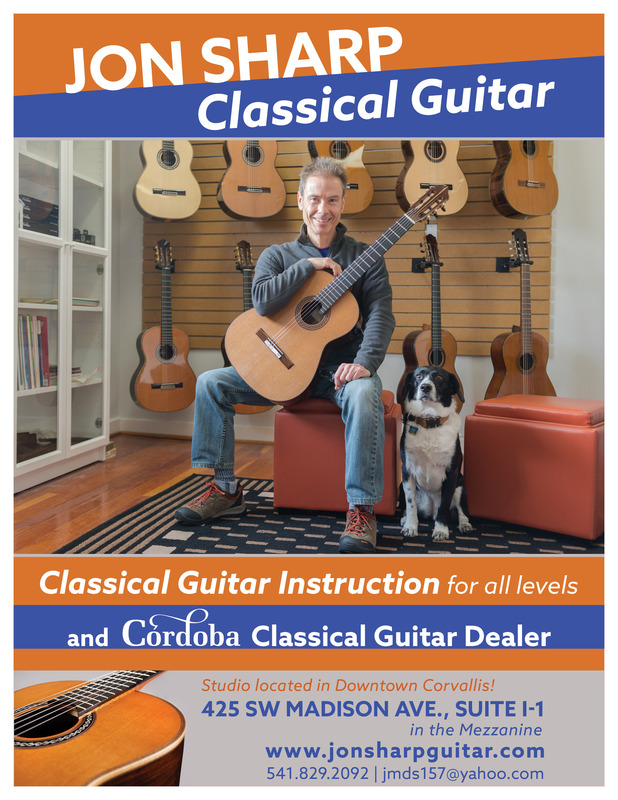 He holds a Masters Degree in Music from San Jose State University, is President of the Corvallis Guitar Society, and sells Córdoba classical guitars out of his studio in downtown Corvallis. Jon has been teaching classical guitar for a number of years and will tailor classical guitar instruction to your needs. Students can expect a structured approach to their lessons with time allocated to technique building, developing repertoire, reading music and the fundamentals of music theory. Check out the other tabs for more information on teaching, Córdoba Guitars, Jon’s playing, and the Corvallis Guitar Society.